BUSINESSES are losing patience with Australia's politicians as they contemplate further delays to the country's approach to energy policy. Some of the country's largest energy users include BHP, Alcoa, BlueScope and Tomago Aluminium, have released a joint statement calling for parliamentarians both at state and federal level to implement the National Energy Guarantee, "without further delay this week". Released overnight with the Business Council of Australia, the statement said energy policy uncertainty over the past 10 years had stalled investment, driven up electricity prices and resulted in a less stable and reliable energy system. "Australian businesses and industry cannot afford another period of inaction," it said. It noted that not approving the policy this week would put Australia at risk of volatile electricity prices, inadequate investment in new generation and a less competitive environment for Australian businesses. The statement was endorsed by Alcoa, BHP, BlueScope, JBS Australia, Rio Tinto, Shell Australia, Tomago Aluminium and the Business Council of Australia. Other businesses groups have also previously endorsed the policy, including the National Farmers' Federation, Australian Chamber of Commerce and Industry, Australian Industry Group, Council of Small Business Organisations, Australian Petroleum Production and Exploration Association and the Australian Energy Council. The National Energy Guarantee is due to be considered in the coalition party room today with some backbenchers including former prime minister Tony Abbott speaking publicly against it and threatening to cross the floor to vote against it in parliament. Mr Abbott has warned Australia will be "surrendering its sovereignty" if the policy is approved. "This is by far the most important decision that this parliament will take," former prime minister Tony Abbott told ABC TV on Monday. "This will shape our economy, this will determine our prosperity and the kind of industries we have for decades to come." Mr Abbott wants the government to buy the Liddell coal-fired power station and forget about the Paris emissions target he signed as prime minister. Former deputy prime minister Barnaby Joyce is among several others to have threatened to vote against the energy guarantee. He wants it to include promises to act against power companies who lift energy prices for households. But a key coalition backbench committee on Monday night reportedly endorsed the government policies by a clear majority, according to Fairfax. Approximately 30 backbenchers attended the meeting and 10 of them were voting members. Of those, Mr Abbott was reportedly the only one to vote against it, although two others voted to keep discussing it. Seven voted in favour. Prime Minister Malcolm Turnbull has been spruiking the National Energy Guarantee as a policy that will deliver cheaper, more reliable power while lowering carbon emissions. The electricity sold to consumers must have an average emissions level that meets Australia's carbon emissions reduction target of 26 per cent, set as part of the Paris Agreement. He needs to get sign-off from the coalition party room before also getting unanimous agreement for the plan from six states and territory governments. But some Labor states including the Victoria and Queensland have expressed concerns that the emissions reduction target is not high enough and want to make it easier to increase these in the future. If the NEG is passed through the coalition party room today, Environment Minister Josh Frydenberg will seek a final state sign-off via a phone hook-up afterwards. Mr Joyce's Nationals colleague George Christensen said he is optimistic ahead of Tuesday's meeting, based on reports the government will underwrite the construction of new power assets, including coal-fired stations. The move was one of 56 recommendations from the Australian Competition and Consumer Commission designed to cut power prices, on which Nationals MPs were briefed on Monday. Opposition energy spokesman Mark Butler is worried the recommendation has been "grossly misrepresented" by some Liberal and Nationals members. 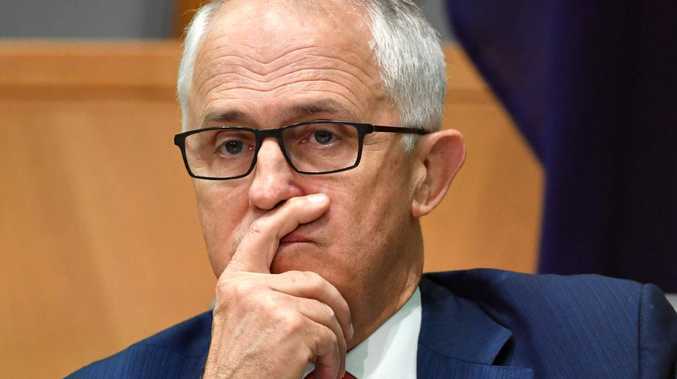 "I'm concerned that this recommendation runs the risk of being manipulated to suit Malcolm Turnbull's need to get something through the coalition party room," he told the ABC Radio on Monday. "If that happens, we certainly don't support that." But Mr Butler said he was eager to see a form of the guarantee succeed. "I don't think anyone wants this to fall over."